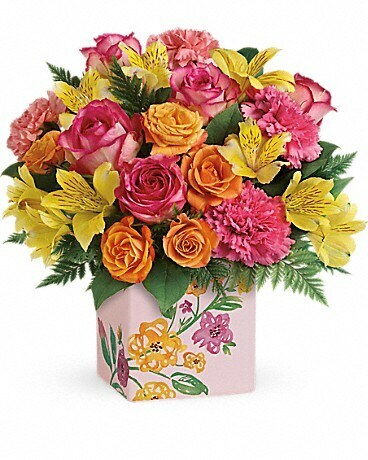 Mom is so special, she deserves two bouquets! 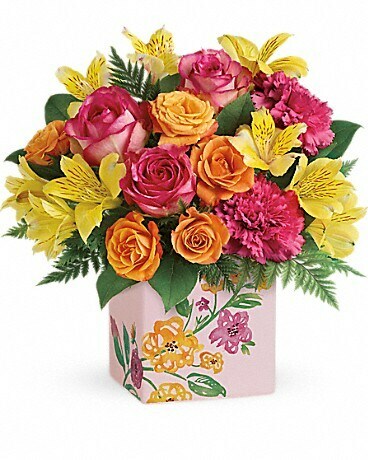 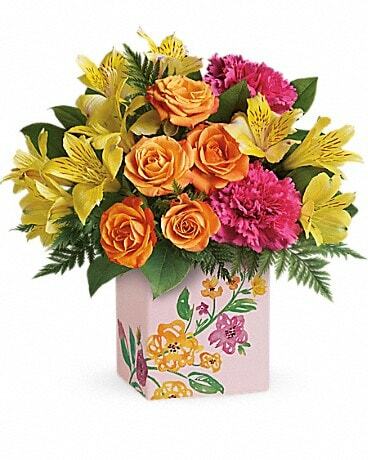 Shower her in blossoms with this bright, joyful arrangement of orange roses, yellow alstroemeria and pink carnations. 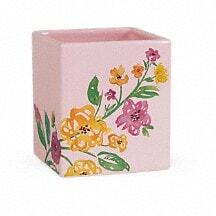 Carefully arranged in a keepsake ceramic cube, decorated with its own painterly blooms.